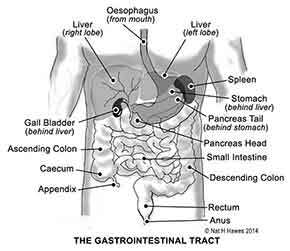 The pancreas is a large gland behind the stomach and close to the duodenum; the first part of the small intestine. The pancreas secretes digestive juices, or enzymes, into the duodenum through a tube called the pancreatic duct. Pancreatic enzymes join with bile (the liquid produced in the liver and stored in the gallbladder) to digest food. The pancreas also releases the hormones insulin and glucagon into the bloodstream. These hormones help the body regulate the glucose it takes from food for energy. The pancreas performs two important functions within the body. The first function belongs to the exocrine pancreas. The pancreas produces digestive juices and enzymes to help digest fats and proteins. When food has been partially digested by the stomach, it is pushed into the duodenum (the first part of the small intestine). Secreting its enzymes into the duodenum helps to prevent the protein-digesting enzyme known as trypsin from eating the protein-based pancreas or its duct. Pancreatic digestive juices and enzymes are released through a small duct attached to the duodenum to mix with the food. The exocrine pancreas also produces enzymes that break down carbohydrates (amylase) and fats (lipase) as well as sodium bicarbonate which helps to neutralise the stomach acids in food. The second function belongs to the endocrine pancreas. The pancreas produces the hormone insulin together with a variety of other hormones. Insulin helps to control the body’s blood sugar (glucose) levels. It is produced by small groups of pancreatic cells called the Islets of Langerhans, which are also known as the "islet cells". Insulin is secreted when the blood sugar is raised and it causes the muscles and other bodily tissues to take up glucose from the blood to fuel their activity. Insulin also promotes the absorption of glucose into the liver, where it is stored as glycogen for use in response to stress or exercise. If the islets of Langerhans produce too little insulin, glucose levels in the blood are raised and can result in diabetes as well as increasing the risk of a number of other problems throughout the body. Diabetes occurs either when the pancreas stops producing insulin or the body is unable to use the insulin it produces. Both result in glucose, the body's fuel, not being absorbed by the cells and building up in the bloodstream. Insulin is needed to be present and working for this absorption into the cells to occur. 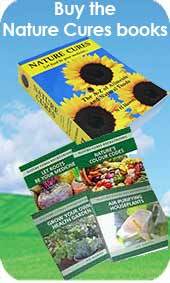 See the Diabetes page for natural remedies to treat diabetes. Pancreatitis is inflammation of the pancreas and may be caused by gallstones blocking the pancreatic duct outlet, trauma, chronic alcohol use, medications, tumours, infections and genetic abnormalities. Acute pancreatitis with upper abdominal pain that is often severe and constant over several days and may be accompanied by fever, nausea, vomiting, tachycardia and abdominal swelling. Severe cases can develop dehydration, low blood pressure, shock, organ failure and death. Chronic pancreatitis is pancreatic inflammation that does not heal, gets worse over time and results in permanent pancreatic damage; the most common cause is heavy alcohol use over years. Chronic pancreatitis has many of the same symptoms of acute, but may include diarrhoea, oily stools and weight loss. Conditions such as hereditary disorders, cystic fibrosis, autoimmune problems and other causes can result in chronic pancreatitis. Unhealthy diets have a lot to do with pancreatic problems. Eating too many sugars such as sweets, biscuits, cookies, cakes, pastas and even breads, can cause an overload of sugar in the body. As the body breaks down these sugars it does it in such a rapid pace that it creates blood sugar imbalances that can lead to conditions such as diabetes. This rapid rise and fall process of high to low blood sugar levels due to diabetes, leads to the deterioration of the pancreas and eventually pancreatic exhaustion, which can be prevented by eating a proper diet. Because the pancreas’s main job is to regulate blood sugar, it is common for the pancreas to become exhausted for those who have diabetes. Once the pancreas has exhausted itself by working so hard to break down sugars, it will stop producing insulin hormones altogether, making it impossible for the body to break down sugar at all. Pancreatic cancer infects the cells of the duct and spreads into the body of the pancreas. Blood vessels and nerves which are near to the pancreas may also become involved in the spread of the cancerous cells. Risk factors include cigarette smoking, chronic pancreatitis and advanced age (over 65 years old). If left untreated, pancreatic cancer can spread to all the abdominal organs as well as other parts of the body. 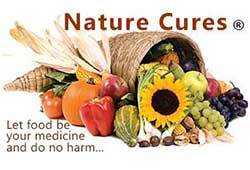 For natural remedies see the Cancer page. When the first signs of pancreatic disorder are noticed the first step is to eliminate alcohol, unnecessary medications, processed and refined foods, recreational drugs, sugar and tobacco, medications, recreational drugs and alcohol from the body which all aid in deterioration of the pancreas. Changing the diet drastically to all natural foods, plenty of vegetables, legumes, whole grains, fruits, seeds, nuts, herbs and spices and cutting right down on meat and animal fats is vital to recover the health of the pancreas. Cruciferous vegetables, red fruits and berries, especially raspberries, turmeric and cumin should become an essential part of the diet. Consuming plenty of natural foods rich in the following nutrients can help the pancreas recover faster and protect it from further damage. Consuming foods rich in vitamin D and getting enough sunshine on the skin so the body can make it's own vitamin D protects the pancreas by its ability to block the proliferation of cancerous cells. This is especially important from October to April in the northern hemisphere and if the liver is damaged in any way. 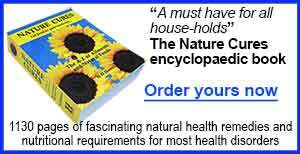 Because other natural remedies for the gallbladder, liver and pancreas are the same see more on Natural remedies for gallbladder, liver and pancreas disorders.